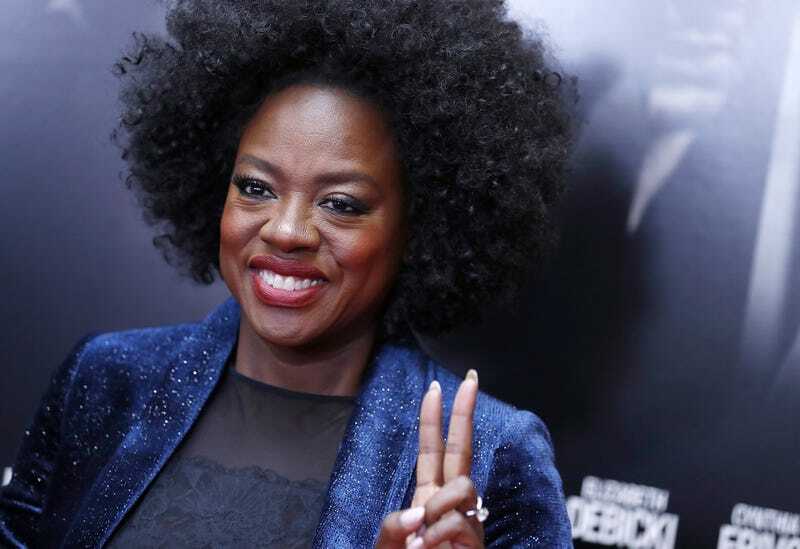 Viola Davis attends ‘Widows’ New York Special Screening on November 11, 2018 in New York City. “As a smart woman once said, ‘Courage is fear said with prayers,’” Viola Davis wrote on an Instagram post on Thursday. Yes, it is—especially when jumping from a plane 12,000 feet above ground with a 100 mile-per-hour drop. But the Oscar-winning actress didn’t let pesky little things like fear or physics stop her from taking her first skydive with Big Island Gravity while on vacation in Hawaii—with a black instructor, no less. Documenting the experience for the ‘gram in a series of video clips, Davis called it “the ultimate exercise in letting go.” Yeah, we bet. Aside from Davis’ customary fearlessness, what we loved was how real she kept it throughout the experience. From the flurry of hashtags she attached to her post—which included #BlackGirlMagicOrBlackGirlCrazy, #GladIDidntWearAWig and #ForgiveMeForMyCussWordsAndJackedUpHair—to singing Montell Jordan’s “This Is How We Do It” while still floating high above Hawaii, Davis turned her dive into a blackety-black moment.